Mary Jo Cartledgehayes is one of us. A long time member of EEWC, she has ministered to us through her preaching, her writing, and her past service as Coordinator. EEWC members have been eagerly looking forward to the publication of her new book. Now it’s here. Its title is simply Grace — a word that sums up her experience of God through all the vicissitudes of her life thus far. I read Grace in one sitting, closing the door between my reading chair and the living room where my children talked and played on the computer, and voraciously gulping down each chapter. I discovered my own hunger for another woman’s story, her reflections on life as an ordained woman, her sense of call, what happened to that call with the decision to enter the ordained ministry, her experiences of pastoring and her encounter with church hierarchy. Being a clergywoman can be isolating. Hearing the joys and sufferings from another clergywoman helps me know I’m not crazy — or if I am, I’m not alone! There is something healing in realizing the hurts we receive at the hands of the church and its people are not personal. Rather, they are part of the systemic difficulty of feminine presence in church leadership. A friend comforts Mary Jo by saying that every clergywoman worth her salt ought to struggle with leaving the ministry at least once a year. What a relief! 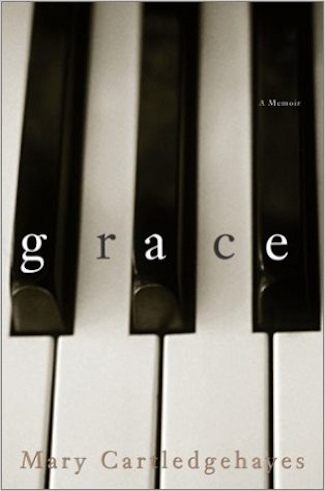 Grace‘s style is that of a memoir, an educated and reflective coming to grips with the faith journey as lived by Mary Cartledgehayes. Her intelligence and her courage to look deeply within are obvious on every page. Even as I cringed here and there at how brutally honest she was about her own reactions, and even while I sometimes felt just a bit voyeuristic about seeing certain details, there was still something delightful about knowing her full humanity that way. My favorite details were her descriptions of holding her children and smelling their hair — that sensuous enjoyment of our human and maternal moments. Cartledgehayes doesn’t have many small feelings; whether joy or grief or lust or laughter, they are all large. Advance publicity has made a big point of emphasizing this largeness and language, since, after all, she is a clergywoman and should not know these words — or say them. (The jacket flap calls the account of her spiritual journey “wickedly delightful.”) Yet it all contributes to the picture of her personality and her story. In the end, however, that gift of “living large” contributes to her difficulties as a local pastor. How do you handle all the feelings and still keep ministering authentically without burning out — or selling out? While not being a theological work per se, there is deep faith and theological struggle underneath the narrative of story as well as in the descriptions of her sermons. As the title indicates, grace manifests itself everywhere, starting with a numinous experience in her gold Chevette (I had a red one in seminary), and covering topics like what conversion is, how calls to ministry occur, the crisis of terminal illnesses, the struggle to hear your own voice and stay true to it, the temptations to despair brought on by institutional dynamics of the church. In the tradition of Jacob, who struggled all night with the angel of the Lord, Cartledgehayes struggles with her call and her God, seeking to find meaning in her life. © 2003 by Mary Cartledgehayes. Used by permission of Crown Publishing. “That fourth semester, all of my questions . . . .localized into one big question: Can I survive in the institution? It came to a head the day an acquaintance overheard one of the deans at the divinity school say, on learning I’d attended the Re-Imagining conference, that I’d never be able to pastor a church in South Carolina. I was stunned at first, and then my shock transmuted into active paranoia. Was I disqualifying myself from the ministry? If a theological conference could disqualify me, then what else should I not be doing? Was a conference of religious women suspect? What about raising money for a women’s center? What activities exactly made me unclean, unfit to serve the Church? After birthing two daughters, and experiencing two divorces, a time away from the church, and a third marriage, Mary Jo’s midlife realization that she was called to ministry was a major change of direction. She struggled in admitting the call. Being United Methodist, she chose Duke Divinity School, and then struggled through that — not with the work, but with the rigidity and anti-woman views of some professors and students. “Where I come from, dogma is a dirty word,” she says; “I nearly gagged the day I was told that one of the tasks of ministry is to pass on the church’s dogma. I was even more ground down by a statement the theology professor repeated throughout the semester. A student would pose a question, the professor would think things over, and then he’d say, ‘You can’t ask that question.’ I almost asked for a refund on my tuition” (p. 83). The historical timing of her memoir also struck a chord with me. In my Presbyterian Church (USA) denomination, as we are approaching the 50th anniversary of women’s ordination (in 2006), there are enough of us ordained women around with some years experience to compare stories. How is it, doing what we have gained the right to do? Last summer I was approached by a young woman doing a project on PC(USA) clergywomen, and asked a series of questions to guide my reflections on my almost 20 years of ordination. After I talked about the good, the bad, and the ugly of ordained life, she told me that my story was not atypical of the other stories she had gathered. Neither is the story in Grace. Cartledgehayes tells a tale that will have many points of similarity to us all. Unlike Mary Cartledgehayes, I wanted to work for God from my childhood. I grew up in a fundamentalist church, “went forward” at age seven following the death of my youngest sister, and longed to have faith like the missionaries we heard when they were home on furlough. In 1961, when I joined my church, Presbyterians in the north already had ordained their first woman, Margaret Towner (1956), and Presbyterians in the south were still three years away from the 1964 ordination of Rachel Henderlite. I didn’t hear about women as clergy, however, until after I graduated from college and was back home doing youth ministry. Oddly enough, it was my senior pastor at a Southern Baptist church who told me that there were women at the Presbyterian seminaries, and why didn’t I look into that? I went to Louisville in 1979 to interview at the Southern Baptist seminary in their church music program, and decided also to go talk to folks at Louisville Presbyterian Theological Seminary while I was in the area. At Southern seminary I was told, “Youth and music are a good place for women in our church.” Just a mile away at the Presbyterian seminary, the response was, “We are looking for women like you.” That’s when I became a Presbyterian. Like Cartledgehayes, I was at the first Re-Imagining conference in 1994. At that time, she was a second-career seminarian with grandchildren, and a newly ordained Deacon in her United Methodist tradition. I had served my first parish for five years and relocated to the south with my clergy spouse, deciding to be “at large” while at home with my two toddlers. Both Catledgehayes and I seemed to have been drawn to the conference by the promise of women theologians from all over the globe. The deciding factor for me to send in my registration was that the planners intentionally called the schedule the “Time Flow,” even re-imagining how to hold a conference! Being the only one from my presbytery to attend, I was shocked by the depth of the rage in my denomination to a conference that was a spiritual mountaintop in my journey as a clergywoman. Mary Jo, although initially surprised by the fears expressed by some women she met at the conference and the reaction within her denomination afterward, later says, “Where did all the rage come from? I think the tinder was the conference’s underlying theme that women are made in the image of God. The statement is sound Christian doctrine, but there’s a gap between believing it intellectually and incorporating it” (p.97). Again like Cartledgehayes, and for many others who attended, Re-Imagining was a formative conference for me. She says, “For me, the most important aspect of the conference was that I . . . felt safe and free. I hadn’t realized until then how straight-jacketed I felt in seminary” (p.96). That was my reaction as well. For the first time, I heard God addressed in female pronouns for three days straight, in worship and in sermon and by folks on the podium. I moved through my initial awkwardness and discomfort, to discover the power of celebrating my gender as in the image of the Divine. It was a turning point in my own appreciation of the feminine, as well as a turning point in claiming my own point of view as I returned to a Presbytery holding hearings and town meetings about a conference they considered heresy and even blasphemy. People came with tape recorders to intimidate speakers, and a couple of women accosted me in the restrooms with their anger, although others genuinely asked questions for understanding. Supporters spoke to me only in private. Re-Imagining still comes up. As late as 1999, when I was interviewing for a pastorate, a man in the interview turned his back on me, moved his chair, and said I’d be in his church over his dead body because I had been at that conference. 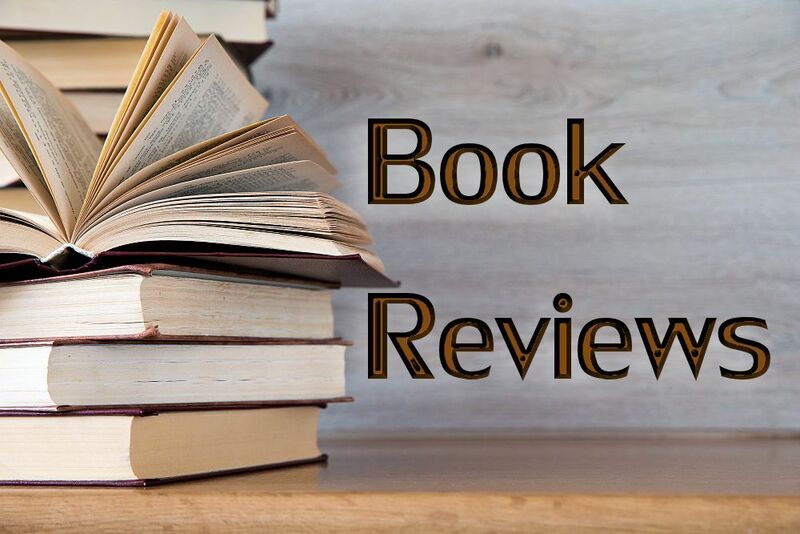 Cartledgehayes and a friend reflect on Mark Chaves’s conclusion in Ordaining Women: Culture and Conflict in Religious Organizations (1998) that in terms of ordained women, church polity and practice do not coincide. “Women are ordained so that denominations can feel good about themselves,” Cartledgehayes points out, “not so they can have women serving as clergy” (p.259). A church may want to be seen as the kind of church that accepts and validates women’s gifts for ministry, but when it comes to having a woman in the pulpit, forget it! That’s a sad, cynical conclusion after almost 50 years of clergy women in the mainline denominations. Mary Jo exemplifies what many of us have experienced at the hands of our parishes and denominations — that the kind of pioneering spirit that led us as women to venture into this new idea of women clergy perhaps is not the kind of spirit that makes for an easy fit in the parish church. Her passion and energy seems to have been valued by those with whom she made pastoral connections in crises, like the young man Chris whom she cared for during his losing bout with leukemia, and yet troubling enough to the rest that they asked for her removal. Part of the fun of Grace is hearing about the sermons (and she includes the text of many of them). Mary Jo’s largeness and creativity bring new life to the pulpit of her first parish, and is met with both delight and fear. When she preaches from Luke 12:35-38, she identifies with the slaves’ perspective by gradually slipping out of her shoes, taking off her robe, pulling her hair back into a ponytail and stepping out from the pulpit for the congregation to see her in jeans and T-shirt, as she tells the story in the imagined words of a slave. When she preached on Jesus’ longing to gather Jerusalem under his wings as a hen gathers her chicks, she brought a purple plastic egg filled with little, fuzzy, dime store chicks, and flung them around the congregation and choir. For her last sermon on Pentecost Sunday, she and the church pianist developed a powerful music-and-spoken-word duet for a sermon that brought the fire of Pentecost into the room. I would love to have been in that congregation, and I can envy the courage it takes to let that creativity out in public. As Mary Jo’s narrative progresses, the reader feels the growing tension between the conventional expectations of pastoring and her creative spirit. Later in the story, when she takes a creative writing class, she has to fill in the sentence, “If I could do anything I wanted to do, I’d (fill in),” Mary Jo’s answer: dye her hair purple. She catechizes herself, “Why don’t you want to be a pastor? Because I can’t dye my hair purple. Why do you want to dye your hair purple? I don’t want to. I just want to have the option.” After she actually did it, she said, “Claiming the option was, somehow, redemptive” (p. 246). Mary Jo’s experiences as a pastor triggered many memories of my own. My first parish experience, while it had a few moments of difficulty, was actually affirming. I was “graced” to be called to a presbytery in the north that welcomed me and put me to work immediately on an important committee, and by churches that responded well to my pastoral leadership. The calling committee did tell me that they had some concerns until they listened to my sermon tape and realized my voice wasn’t shrill (!). The only real issue where I encountered opposition was over money; the Trustees could not get their minds around me as a leader in the building campaign. In frustration, I took my male co-pastor with me to a meeting. A few minutes into the meeting he, as we had agreed, began repeating exactly what I had just said that had raised arguments. The committee responded to him, “That’s exactly right, pastor!” I started laughing, pointed out to them what we had done, and left him to chair that committee afterwards. As others before me have found, the “second call” was where I ran into the wall, as many women have found when they have temporarily left a predictable career path in other fields as well. While the church folk were outwardly affirming of my choice to be home with my young children, getting another call has been difficult. During the years I was at home, I worked for the presbytery as random supply preacher, did two brief interim pastorates and one temporary supply position that turned into a 1½ year position, and stayed active on committees. I have taken half-time positions at the presbytery office, and even now, in campus ministry, am in an “Acting” position, which is full-time with benefits, but not considered a Call, with installation and recognition. The salary is only a few hundred dollars above Presbytery minimum — in other words, what a newly graduated seminarian would make. In effect, I have had to start over. Several years ago, I organized a recognition service of the 40th anniversary of women’s ordination for a presbytery meeting. Although we had about 30 clergy women on our roll, only one was a solo pastor, two were associate pastors, one was the camp director, I was in the presbytery office with two part-time jobs and no benefits, two were chaplains; and the rest were “at large,” with one who had retrained in social work and one who was retraining as a counselor. As we stood up one by one around the hall, the point of the recognition became obvious. Books like Grace that tell the truth about our experiences are important both personally, in the healing of sharing stories, and politically, as we take a new look at what has happened in the almost 50 years (more for some denominations, fewer for others) since ordination was opened to women. Grace takes us from Cartledgehayes’ call through her first parish, with high moments of inspiration and scriptural insights, adventurous sermons and reflections on the husband as clergy spouse, and low moments of doubt, suffering, and death. Those of us in EEWC know there is more to come in her story, and I for one want to read how she encounters faith in the next installment. (1) Sallie McFague, Metaphorical Theology: Models of God in Religious Language (Philadelphia: Fortress Press, 1982), p.68. Rev. Dr. Rebecca Kiser is an ordained minister in the Presbyterian Church (USA). She has served in a variety of church and program positions in 31 years of ministry. She holds an M.Div from Louisville Presbyterian Theological Seminary, a D.Min. from Matthew Fox’s University of Creation Spirituality, and a Certificate in Spiritual Direction from the Tidewater Institute of Spiritual Formation. She has been active in EEWC-CFT for many years, and has written several articles and reviews for their magazine. Her current location is Myrtle Beach, SC, and she is enjoying being a grandmother.